“From the jungles of Borneo, to the civil strife of Assam, to the black markets of Vietnam, Dr Tammie Matson continues her quest to help solve the human–elephant conflict around the world. 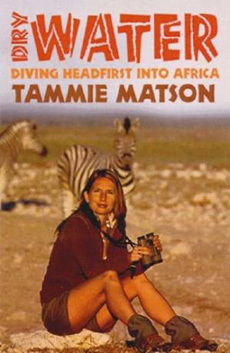 In this follow-up to her bestselling memoir Elephant Dance, Tammie takes on the black markets of Asia determined to make a difference and break the chains of rhino-horn poaching and the ivory trade. Travelling from her new home in Singapore throughout South-East Asia, she meets presidents and poachers in palaces and back allies journeying to the dark heart of a dark industry. Returning to her beloved Africa, she finds old friends facing rough times. And torn between her passionate commitment to conservation and her precious growing son, Tammie faces her biggest challenge yet, balancing work and family. 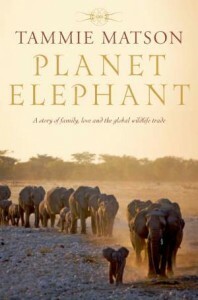 Thought-provoking, funny and moving, Planet Elephant is the continued story of one woman’s courage and conviction.” – Pan Macmillan, August 2013.